As the incoming editor of the Sustainability in (Inter)Action forum in the ACM journal, Interactions, I’ve recently published an editorial titled Sustainability, Hope, and Designerly Action in the Anthropocene. It’s available here. The rapid rise of Artificial Intelligence (AI) poses fundamental challenges for the creative industry. Although AI technologies are being adopted at an ever faster pace, Design as an academic discipline has so far failed to provide a convincing answer to the opportunities and challenges of AI. This one-day symposium brings together design researchers and educators from the TU Delft Faculty of Industrial Design Engineering with the aim of sharing experiences and shaping future activities at the intersection of Design and AI. 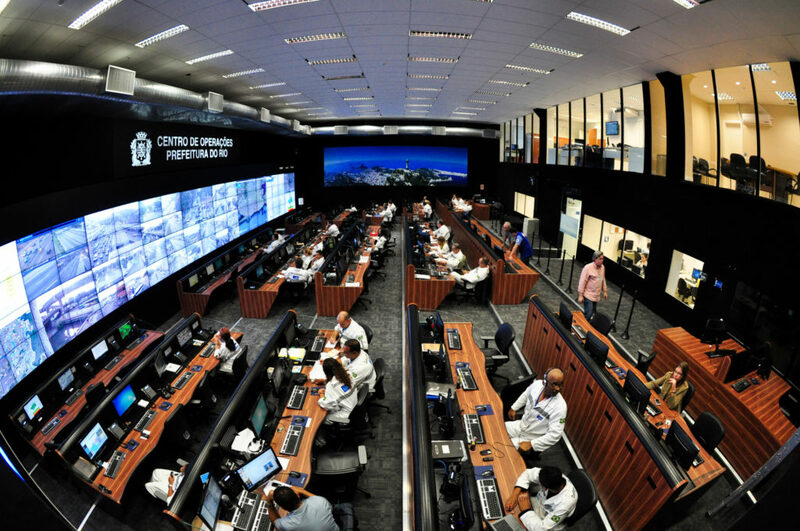 IBM worked with Rio to design a command center that integrates over 30 city departments to improve emergency response management and collaboration across the city. Weather forecasting and predictive analytics capabilities use information to decide how to best react to current events and how to best plan for what is likely to happen in the future in order to minimize impact on citizens. In this short talk I discuss design responses to the potential implications of AI – an integral element of the smart city suite of technologies – for public involvement in urban design. My concern, as implied in the title, is that AI constitutes a ‘black box’ whose opacity may prevent the public from taking a more informed and active role in city-making. I will first situate AI in relation to two important orientations, directions or ‘pulls’ in smart city design: the first is the imperative to design flexible, multi-stakeholder, open-ended platforms (“infrastructuring” in Ezio Manzini’s terms), and the second is the growing shift in ownership of urban infrastructure from public to private actors (what Keller Easterling calls “extrastatecraft”). I will suggest that it is becoming difficult for the public to identify the presence of AI and intervene in its development given the way much of the former takes place ‘under the hood’, so to speak, and much of the latter takes place in exclusive commercial settings. I will then illustrate two design responses to these developments. 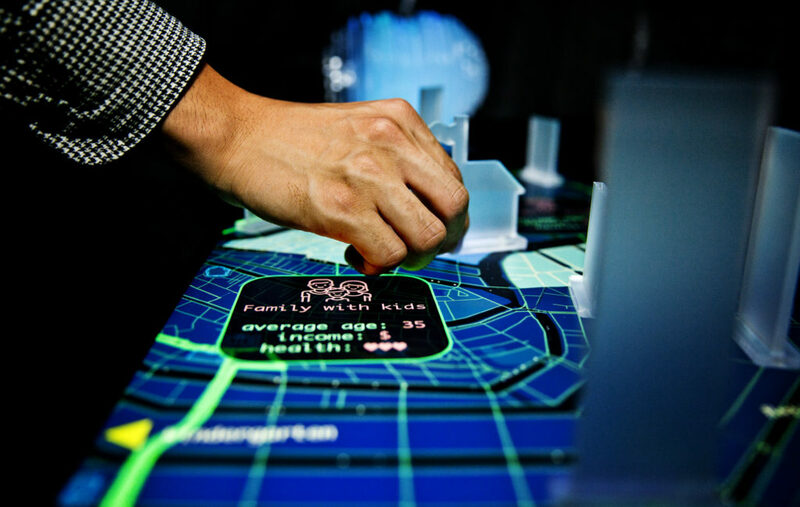 The first, Smart City Panorama by Studio Richard Vijgen, is an art-design installation that was part of the Data Embassy exhibition during Dutch Design Week, 2017. The second is the AI Mayor, a speculative design created by students during last year’s edition of the DfI masters class, Interactive Technology Design (ITD). Interactive Technology Design (ITD) is a masters-level course that is offered as part of the DfI (design for interactions) MSc program at Delft University of Technology‘s Department of Industrial Design. The course introduces students to explorative prototyping as a “make first” approach to design, promoting the use of prototyping not just as a way to evaluate final concepts but as a way to come up with and flesh out those concepts. Good prototypes will both be recognizable as belonging to these speculative worlds, and be capable of communicating elements of that world in a critical manner – using future developments as a way to problematize the present. Themes included extended lifespan, immigration and refugees, urban development, hackable emotions, data and surveillance, labour, and information overload. The course’s coaching team was made of Aadjan van der Helm, Tomasz Jaskiewicz, Wouter van der Hoog, and me. The design process combined futuring techniques with rapid prototyping, providing students with a playful, experimental environment in which they could be both creative and critical. In each class day (~9 hrs) student groups were asked to complete a full prototyping cycle: develop a future scenario, design and materialize an interactive prototype that communicates the scenario, and test the prototype with ‘real’ users. Developing familiarity with the theme/brief, including desk research and guest lectures from within and outside the department. Creating a two-driver scenario (resulting in a 2×2 scenario space) that takes place in the near(ish) future (20-30 years ahead). Developing a narrative that conveys one of the four scenario possibilities as an everyday situation, and identifying an interactive object within that story. Designing, building, and testing the interactive object. Reflecting on the day’s process in a short report. The courses’s final exhibition featured 20 group projects. Each group was given a dedicated space, where students and visitors role-played the future situation using costumes, props, and additional media such as videos and music. Vice’s Motherboard reported on the exhibition here (in Dutch). The top-five projects were invited to present demos in DeSForM 2017. What if decisions about urban development were made by Artificial Intelligence? The interactive experience played out as a faux public consultation: participant were asked to help the ‘mayor’ make a decision, only to find that the ‘mayor’ went ahead and made whatever decision he desired. The “blackbox” of urban design was seen for all of its opacity. Group members included Tomo Kihara, Zoe Vos, Martijn Weber, Ziyi Zhang. What if astronauts going on long solo missions had to receive special training for the loneliness such missions imply? The experience included proximity detractors, sound and vibration messaging that went off whenever the astronaut/participant came into close contact with others. Loneliness became a teachable emotion. Group members included Mina Boogaard, Claudia De León Castro, Tanja van der Heide, Anna Koolen, Michael Speek, Freek Trimbach. What if it became practically impossible to assert the authenticity of consumer products? Participants wore special gloves that upon contact with a product showed some relevant information about it. 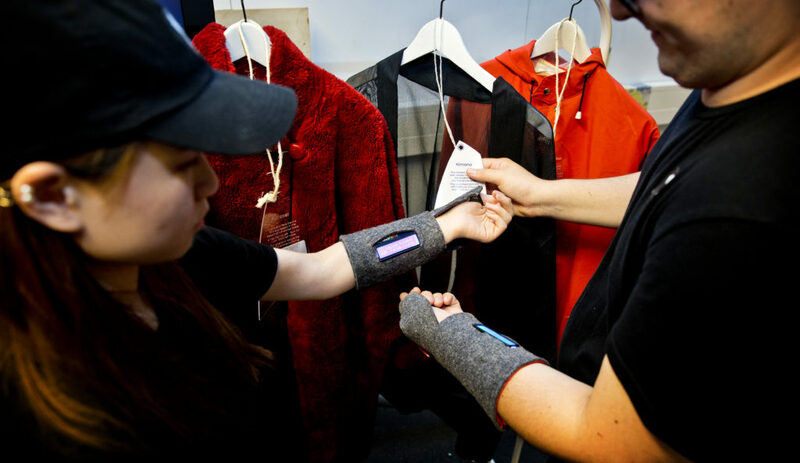 When several participants look at the same product the glove shows different, contrasting information. ‘Fake’ product information became a reality. Group members included Renan Jordano de Barros, Irene van Houten, Jen Liu, Tamara Monster, Celeste Volpi. What if refugees seeking asylum had to undergo genetic modification as a condition for being granted entrance? Participants underwent scanning and simulated genetic modification in a small booth, after which they were given a fake passport in which white skin was turned dark and vice versa. Group members included Wikke Alphenaar, Wies van Lieshout, Gijs Louwers, Guillermo Meza Perez, Yong Park. What if our data became a living epitaph after our death? 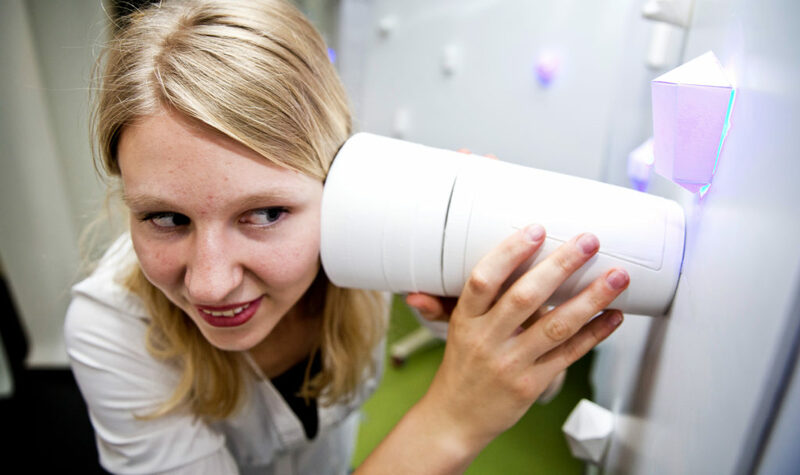 By using a special device, participants could listen to the data traces of the dead. The device triggered voice playback once it came into proximity with a burial wall. Participants were also asked whether they would be willing to leave, posthumously, their data memories behind. Group members included Thomas van Arkel, Mengyin Dai, Min Huang, Marije Schokkin, Elise Wabeke. Next year’s iteration will be dedicated to speculative urban futures. We report on preliminary results from a public engagement project based on a procedural approach to sustainability. The project centered on an interactive art installation that comprised a live actor, an immersive soundscape featuring a handful of different characters, an interactive touch-table, and four interactive rooms within which participants wandered, partially guided by a narrative through-line, yet at the same time left to make sense of any larger meanings on their own. The installation was designed to experiment with two propositions: (1) that there is value in public engagement with sustainability based on the exploration and articulation of deeply held beliefs about the world—the worldviews, values, and presuppositions that mediate perception and action; (2) that there is value in replacing the infocentric tendency of most public engagement on sustainability with an approach premised in aesthetics and experiential resonance. Following the installation’s two-week pilot run, our preliminary results indicated that the majority of participants found the experience both resonant and thought provoking, and were mostly willing to critically engage with their pre- existing notions of sustainability. The full article is available online here. You can find a list of my publications here. It took much longer, but the lecture I’ve given at SFU’s Institute for the Humanities (in Nov.2014!) now appears as a chapter in the anthology, Conditions of Mediation: Phenomenological Perspectives on Media, edited by Tim Markham and Scott Rodgers, and published by Peter Lang (there’s an accompanying website too). The essay presents a Heideggerian perspective on art videogames from which I develop what I call ‘Interactive World Disclosure‘. Here’s a scanned pdf of the chapter. After skipping 2017, the next iteration of the ICT4S conference will take place in just under a year in Toronto. The keynote speakers – Bill Rees, Lisa Nathan and John Robinson – are fantastic, and I have the pleasure of serving on the organizing committee (poster co-chair). Details of what should be addressed in the proposal and a more detailed description of the submission process will be posted on the website soon. All papers must conform, at time of submission, to the IEEE Formatting Guidelines, and limited to at most 6,500 words, and 10 pages including text, appendices, figures and references. The current Word template and LaTeX files will be linked on the website soon. Submission will be via EasyChair at https://www.easychair.org/conferences/?conf=ict4s2018. There will be an open access publication for the conference indexed by all major data bases. Accepted for publication after May 15, 2016 and before November 15, 2017. We invite submissions of high-quality extended abstracts for posters. Posters may present late-breaking research or work in progress. A poster can help attract interest and give a rapid overview of what your research is all about. At the conference, the work described in the extended abstract will be presented as a poster, ideally in interactive discussion with the audience. We especially welcome posters that describe proposed empirical studies. An attachment with a maximum of 2 additional pages must be included in the submission. The attachment must clearly state how the work described in the extended abstract is to be presented at the conference, emphasizing interaction potential and explaining how an engaging participant experience will be achieved. More details will be available on the website soon. This is the personal website and blog of Roy Bendor, Assistant Professor at Delft University of Technology's Department of Industrial design.